Come Explore Our Library! We have 2 Scanners!! We added a brand-new overhead scanner this fall! We now have two and they are both free of charge! 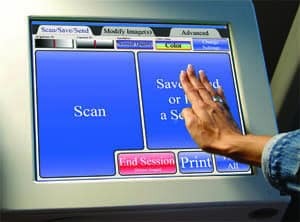 Both scanners have large touch screens make them easy to use. The scanners are easy to use. They have large touch screens to guide you through the scanning process. You are also able to either save your scanned document to a USB drive or email the document to yourself. Each scanner will scan in black & white or in color. If a USB drive is inserted, the scanner automatically recognizes this and will indicate that this is where the document will be saved. Since both scanners will scan color or black & white, they are perfect for scanning graphs, photos, magazines and journals. 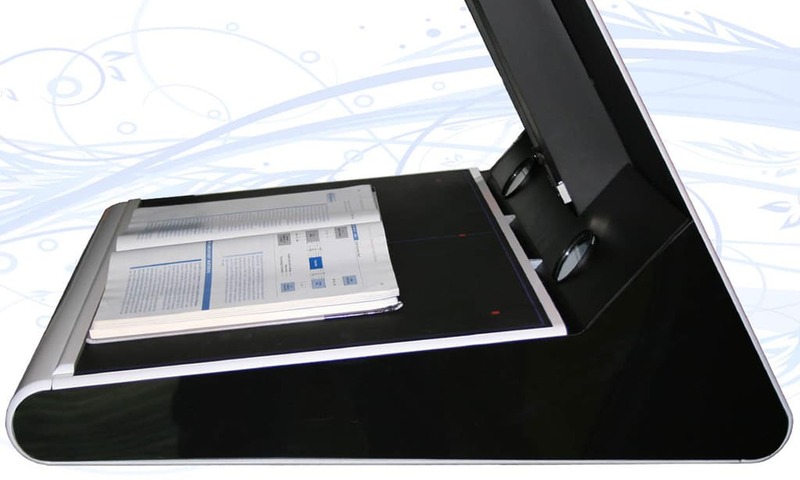 The new scanner is an overhead, face-up scanner, so there will be no more book spine damage. The new scanner is an overhead, face-up scanner. These means that books don’t have to be flattened in order to be scanned – thus preventing bo0k spine damage. You are also able to split the two pages of a book into separate images. Black edges can be removed and the content can be straightened. 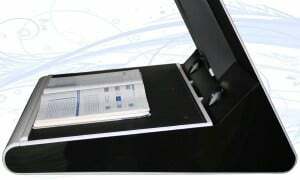 It also has a much larger capture area so is able to scan larger images than either copiers or typical scanners. It is much easier and quicker to scan multiple pages of a book – there is no need to flip them over to turn the page and then flip them over again to scan. You simply turn the page. There is a foot peddle so the user may use that rather than the hand scan screen. It is also wheel-chair accessible. The scanners are located with the print station and the photocopier. Come explore our library and find out how easy and convenient our scanners are! DIY for the Weekend: Build A NERF® Blaster!